One of the main purposes of the Winetwork project was to identify the level of knowledge of european vinegrowers about GTD (Grapevine Trunk Diseases) and the different viticultural practices currently being used in order to try and reduce their incidence. From the surveys done in situ it was possible to obtain an overall view of vinegrower knowledge about symptom recognition and disease differentiation across various european regions. 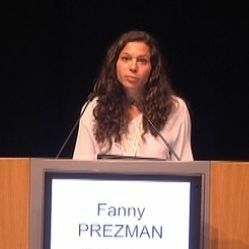 Fanny Prezman, during her presentation in the Enoforum 2017 session dedicated to the project, described the current viticultural practices being used, some of which are well known and scientifically proven, and other innovative practices that at present are not scientifically validated. The various possibilities available have different objectives, from the replacement of vines, the restoraton of diseased vines, to prevention measures, to the protection of pruning wounds as well as a series of atypical procedures.